Wellington Infrastructure performs large-scale, specialized electrical construction projects that demand extensive experience in the installation of complex electrical systems, data/communications infrastructure, and sophisticated instrumentation. Markets served include transportation, industrial/process, and commercial/institutional facilities. 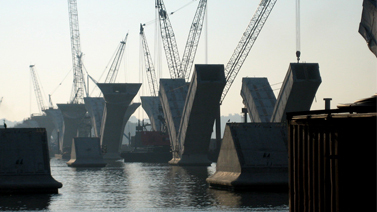 Wellington Infrastructure is the company's core operating group and draws extensively from other specialized business units to perform for its client base. Wellington brings its penchant for challenge to bridge and tunnel lighting, catenary and rail signaling for mass transit, as well as airfield lighting and FAA navigational systems. Wellington Infrastructure has championed the installation of intelligent transportation systems. This roadway management infrastructure is comprised of fiber optic networks, dynamic or variable messaging, closed circuit monitoring systems, and highway advisory radio. The integration of these components provides for more synchronized, efficient traffic management. Working in conjunction with Departments of Transportation in Pennsylvania, Maryland, and Virginia, as well as the Federal Highway Administration, Wellington Infrastructure has installed in excess of 200 miles of intelligent transportation systems on active urban interstate highways. The North Shore Connector is an extension of the existing Port Authority of Allegheny County Light Rail Transit System under the Allegheny River from Downtown Pittsburgh to the North Shore. This new tunnel furthers continuity between the downtown area and major Pittsburgh attractions, businesses and education centers such as PNC Park, Heinz Field, the Rivers Casino, and the Community College of Allegheny County. 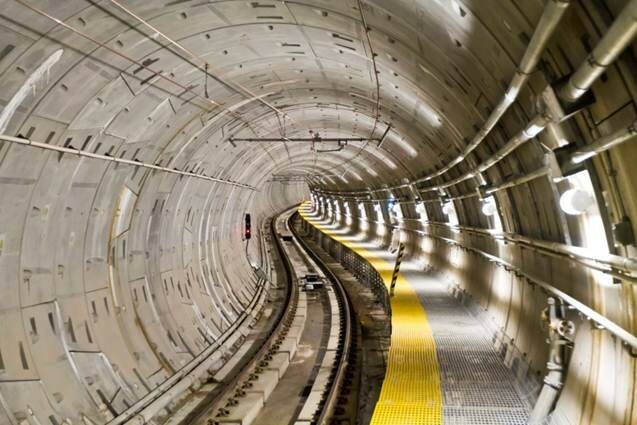 The project was comprised of 2.5 miles of direct fixation track and 5 miles of concrete plinth anchorage, tunnel ventilation fans and dampers, 2.5 miles of emergency walkways and fire protection systems. Wellington’s role in this project includes, but is not limited to, the furnishing of all labor, materials, tools, equipment, and incidentals necessary for the construction of the North Shore Connector train systems for the entire length of the light rail system extension, as well as finishes for three new stations.